How are you managing your various mobile workers in each of your departments? Multiple interfaces, multiple workflows, multiple back-ends hosted inside the municipality and some in the cloud. It’s confusing, hard to report holistically on and ultimately inefficient and costly to government. This is why we are introducing our mobile workforce management solution. The concept is to make the mobile worker’s job simple, by providing them with one mobile application interface that shows them all the information they need, and all the information they need to collect. They see their next job, and where exactly to go on the map to do it. 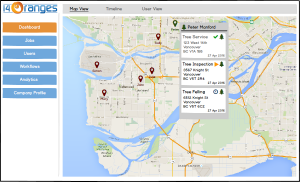 The mobile worker’s manager/dispatcher can see their workers on the map too, ensuring their safety and the tracing necessary to ensure that service is being provided to every taxpayer. 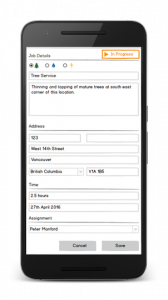 The manager/dispatcher can drag and drop jobs into or out their mobile workers’ work queue for that day, allowing them to re-prioritize assignments on-the-fly to deal with priority needs. 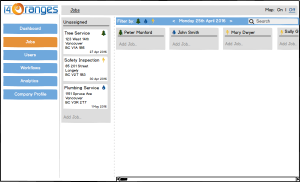 The system’s flexibility is in it’s ability to define customized workflows for every job that is needed to be done in the city, along with the built-in scheduling capability to assign the job to the right full-time or part-time worker with the right skill set to go the site and get the job done the first time, preventing costly revisits. Data is collected in the field and it flows back to the service and distributed to whatever back-end system needs it through their well defined service interfaces and APIs. Reports will be able to provide insights to managers/dispatchers on improving the processes, and help to identify ways of maximizing employee on-site time vs. off-duty tasks. 14 Oranges will give you the actionable insights you need to make your workforce more efficient. We are looking forward to these conversations at MISA this upcoming week.